The electronic items that are discarded, broken or become obsolete all go somewhere. People should take care to remember that when you throw away something, it doesn’t simply disappear. You can’t hide it in a magical place called “AWAY”. All the discarded electronics might end up in a local landfill, perhaps in a village in China or a slum in Ghana. But we should care, about the place where it will go and be disposed of. You want to get rid of your broken electronics, and you might be wondering that it should be in the trash can, right? NO! A trash can’t do any miracles by itself. We should consider it as the first step; an opening of the pipe that would lead to a local landfill or an incinerator. This means toxic materials from your disposed electronics is most likely to pollute our environment, poisoning our water, wildlife, and our soil. 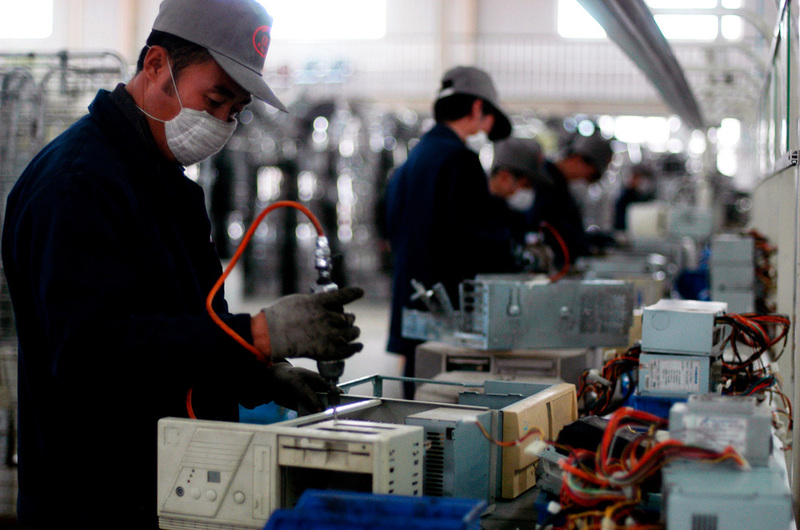 We need to realize the fact that U.S. electronics recycling industry is almost unregulated. Few laws have been developed to guide recyclers on handling electronics processing to protect the workers and environment. However, still a greater proportion of e-waste generated in rich countries is dumped in developing countries, poisoning human health and environment. Less affluent people and regions of the universe often get stepped on. Although an international treaty, the Basel Convention was established to prevent this, the U.S. still has a lot of red tape involved which prevent e-waste from being shipped off-shore. The laws that do exist in the country are often poorly enforced, allowing dangerous conditions to persist in the operations of irresponsible recyclers. This results in an environment where workers’ health is endangered by being exposed to toxic dust. Nonetheless, there are recyclers out there that are certified by e-stewards. They must abide by a rigorous set of requirements that prohibits them from exporting hazardous e-waste to developing countries. Additionally, they aren’t allowed to dispose such toxic materials in municipal landfills. They also make certain that workers in the industry are protected from being a victim of occupational hazards. We have dumped tons of our old electronics, cell phones, and computers in our garages, closets and drawers. Many of us know that we shouldn’t be throwing it in the trash, and with the fear that if it is exported somewhere, our data can be read. We simply refuse to take it to recycler. With the passage of time, the monetary value of these electronics is likely to diminish very rapidly. Therefore, it is much better that we hand it over to an e-Stewards certified recycler. They can responsibly refurbish our devices and we can probably get paid for it! e-Stewards certified recyclers can successfully give a second life to obsolete electronics. This can eventually save considerable resources and energy. While you may think keeping your electronics can solve the problem… think again! Sadly, by doing so you may take a big gamble. Giving it away to recyclers without the assurance of e-Stewards certification, it is doubtful that this e-waste will be recycled responsibly. It can possibly end up with companies that don’t even bother to completely remove your personal data. Even worse, it could end up in a village in China or slums of developing countries such as Ghana, Nigeria or India. This is what industry experts believe happens more than 50% of the time. OK, with all that said now imagine tossing your broken laptop into a trash can. You definitely want it gone, because it’s broken and obsolete. But in this case, out of sight doesn’t mean out of mind- it isn’t gone for good! Your irresponsibly disposed electronics will return to haunt you. Let me explain… For instance, you might be thinking that your e-waste has been shipped away to an area that you haven’t even heard of in China or Africa. It’s their headache now, right? Wrong, not really. What goes around, comes around as this problem will come right back to your doorstep. Wondering how? A significant proportion of our food supply comes from China, and a lot of it from the same regions where the e-waste is “farmed” i.e. the Guangdong province. Likewise, air pollution from China is spreading all across the globe. Scientists have even tracked the pollutants’ trail. They find their way through long-range transport in the upper atmosphere, moving pollutants across the oceans that eventually fall over other continents. This cycle ultimately brings toxic substances from your laptop back to your home. Unless we take the responsibility to recycle e-waste properly we will have to pay the price. Similarly, the environment pays and our loved ones pay for it too with their health and degraded environment. We must ensure effective e-waste management to save our children. Let’s just not be indebted for the cost that can be easily avoided. 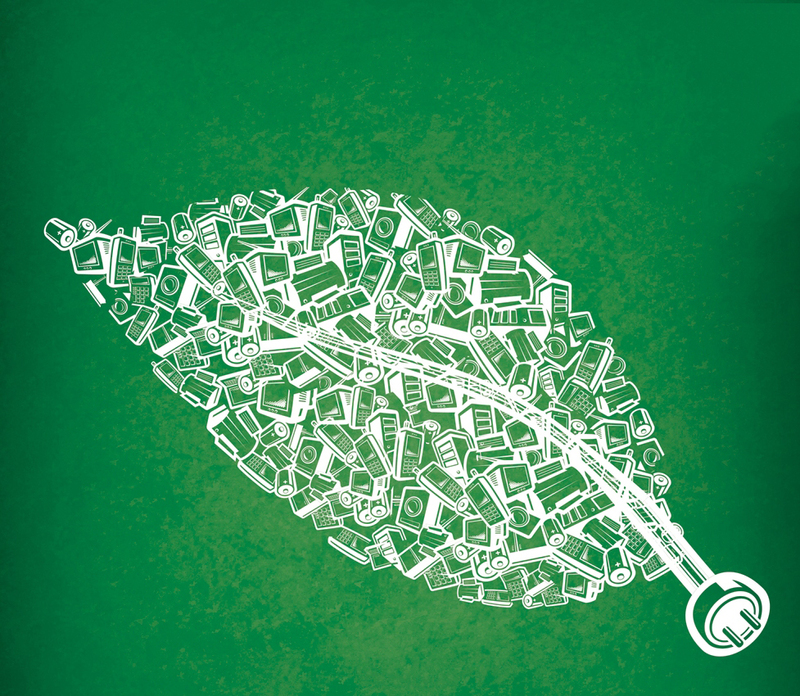 Let’s start by respecting our environment by disposing of e-waste in the right way!